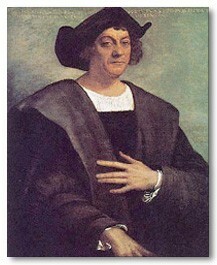 how was Christopher Columbus's personal life? Christopher Columbus is known for many of his good qualities, but what about his bad ones? Does anyone even know they exists? sure Christopher Columbus discovered the new land, but what happened when he got there? He made friends with The native american's on the new land, because some of his men who were with him on his journey had to stay, but when he left he took many Native american's to be slaves, he broke families up, so when he went back, the people wouldn't see how he failed to find a new route. Christopher Columbus was a cruel leader who kept all the money and other things he got for himself and his brothers, He was hated by the people who he controlled. Many people tried to kill him and eventually he was sent back to Spain in chains after his 3rd journey. On his 4th journey he was stranded in Jamaica with a rotted boat and no one wanted to go and save him. He is said to be a cheapskate, on his 1st journey he promised who ever spotted the new land first he would reward them, but when someone did, he said he saw it the night before and rewarded himself instead. I am a most noteworthy sinner, but I have cried out to the Lord for grace and mercy, and they have covered me completely. I have found the sweetest consolation since I made it my whole purpose to enjoy His marvelous Presence. 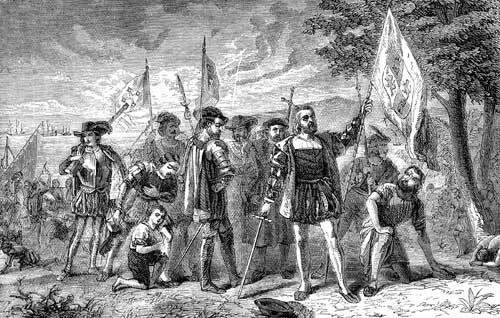 Christopher Columbus connects to Conflict and leadership. It was conflict because he was such a mean man, he took people from their homes, tore families apart and didn't feel guilty about it. He lied about giving rewards and after a while he was hated. Its also conflict because he got all the credit for finding the new land, he took all the fame, when many people helped him. Once he found the new land, the native american's had a lot to deal with, from people invading their land, to their land being taken over. He also connects to leadership too, because he lead men to the New land. He found land and many other things, if he would have never exploded who knows where we would be today.